Meet the requirements of all employers and ensure compliance with current health and safety regulations thanks to our first aid courses. At Noble Training Solutions, our first aid courses are highly practical and participative, yet extremely competitive in price. EFAW courses for 12 people are provided at affordable prices and come fully inclusive of all course materials and accredited certification. First aid can be taken as an individual course or combined with another to create your own personalised training solution. The Health and Safety (First Aid) Regulations 1981 requires employers to provide adequate and appropriate equipment, facilities, and personnel to enable first aid to be given to employees if they are injured or become ill at work. These regulations apply to all workplaces, from those with five or fewer employees, to self-employed. Employers are required to carry out an assessment of first aid needs. Our first aid courses have been developed to meet the requirements of all employers and ensure compliance with current regulations. 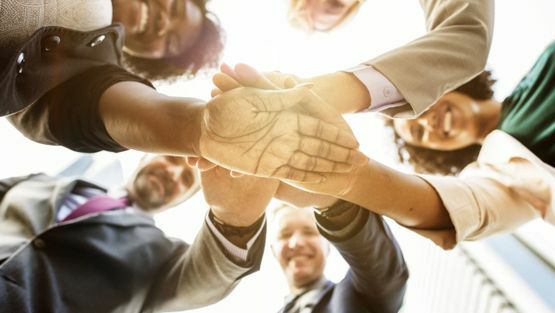 There are two main types of first aid courses offered for the workplace environment as required by the Health and Safety (First Aid) Regulations 1981; Emergency First Aid at Work and First Aid at Work. An "Emergency First Aid at Work" course typically lasts one day, and covers the basics, focusing on critical interventions for conditions such as cardiac arrest and severe bleeding, and is usually not formally assessed. A "First Aid at Work" course is usually a three-day course (two days for a re-qualification) that covers the full spectrum of first aid, and is formally assessed by recognised health and safety executive assessors. Certification for the "First Aid at Work" course is issued by the training organisation and is valid for a period of three years from the date the delegate qualifies. According to the ‘International Liaison Committee on Resuscitation’ guidelines, CPR involves chest compressions at least 5 cm (2 inches) deep and at a rate of at least 100 per minute to pump blood through the heart and body. The rescuer may provide breaths by either exhaling into the subject's mouth, nose, or a device that pushes air into the subject's lungs - externally providing ventilation is termed ‘artificial respiration’. 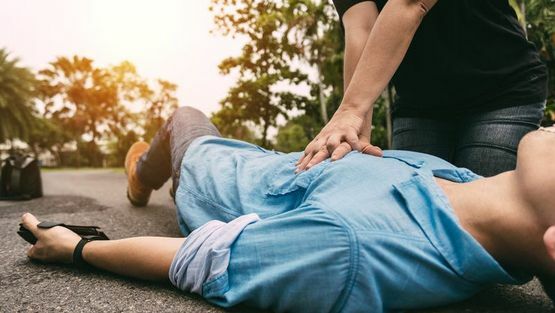 Current recommendations place emphasis on high-quality chest compressions over artificial respiration, a simplified CPR method involving chest compressions only is recommended for untrained rescuers. An automated external defibrillator (AED) is a portable electronic device that automatically diagnoses the life-threatening cardiac arrhythmias of ventricular fibrillation and ventricular tachycardia in a patient, and is able to treat them through defibrillation. Defibrillation is the application of electrical therapy which stops the arrhythmia, allowing the heart to re-establish an effective rhythm. Get in touch today to discover more about our first aid courses.